Last year, in May 2016, KNC Miner filed for bankruptcy prior to the last reward halving of Bitcoin and was then sold to a new company that had plans to relaunch. Well, it seems that the planned relaunch has happened and KNC Miner is back with the new ownership and a new mining ASIC for sale. KNC TITAN 2.0 is a new and improved version of the original Titan Scrypt ASIC miner, based on the same design and functionality as the older generation. 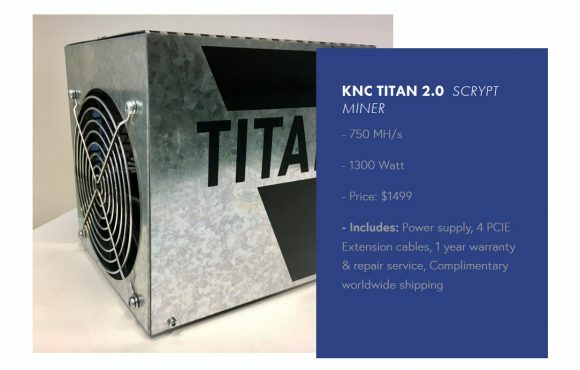 The new KNC Titan 2,0 comes with 750 MHS Scrypt hashrate at 1300W power usage and the new owners of the company say they have resolved the issues and complaints users had with the previous generation hardware. The Titan 2.0 comes in a complete plug & play kit with a complimentary power supply, 4 PCIE extension cables, and a 1 year warranty and repair service at price of $1499 USD. KNC is even throwing in a complimentary worldwide shipping to celebrate their re-launch. 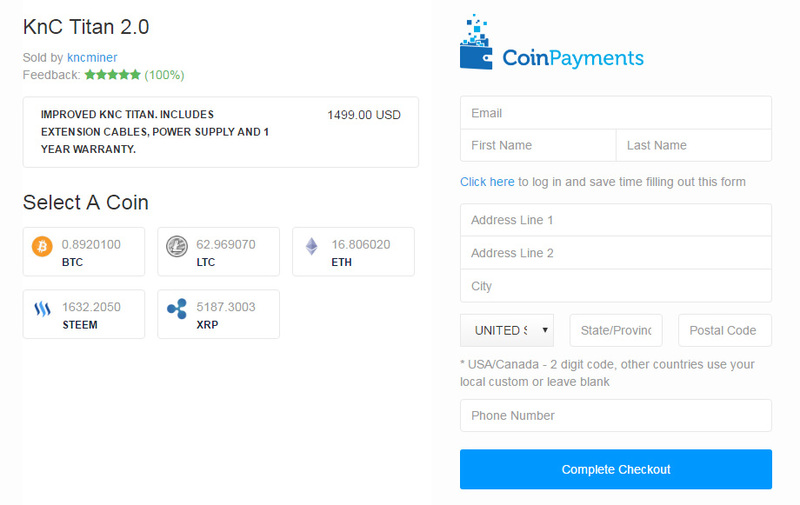 Payments are processed in crypto currencies via CoinPayments and you can use BTC, LTC, ETH, STEEM or XRP to pay for the Titan miner. The initial backs of Titan 2.0 Scrypt ASIC miners apparently consists of 3000 units out of which already almost 600 have been sold. Do note that this is a pre-order and Batch 1 is scheduled to start shipping in 08/2017. Interestingly enough the company is apparently planning to release another new miner soon, or so it is hinting at the moment.